Packaging shoot for new product teaser video. Studio B is our smaller television studio and photography studio. Having similar technical capabilities as Studio A, it packs a lot of value into a smaller space. Perfect for photo shoots, roundtable discussions, and green screen, the seamless walls of our 33 x 34-foot room give you a lot of bang for the buck. This room is ready with our news/talk show set, but can be cleared to a bare stage. 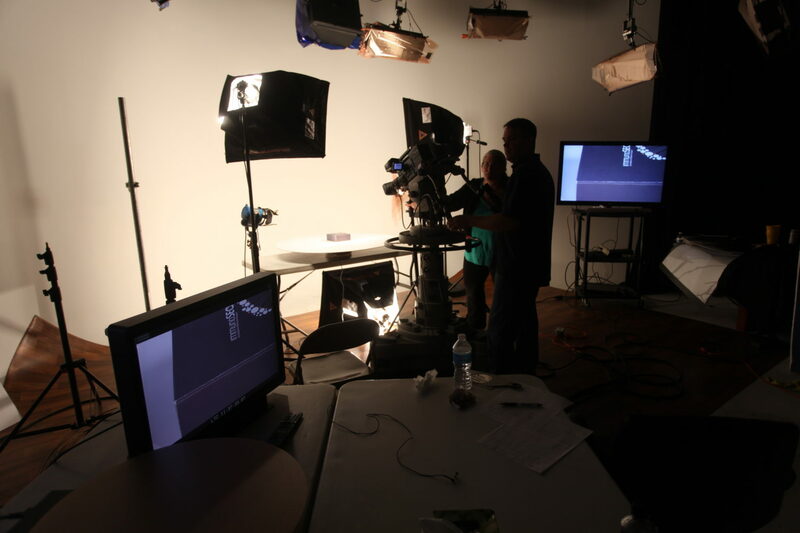 Click here for our lighting and grip list. Please note that both studios come “as is” with lighting and paint as left by the previous production. Retouching or full painting services are available. If you need more room, take a look at our larger Studio A. 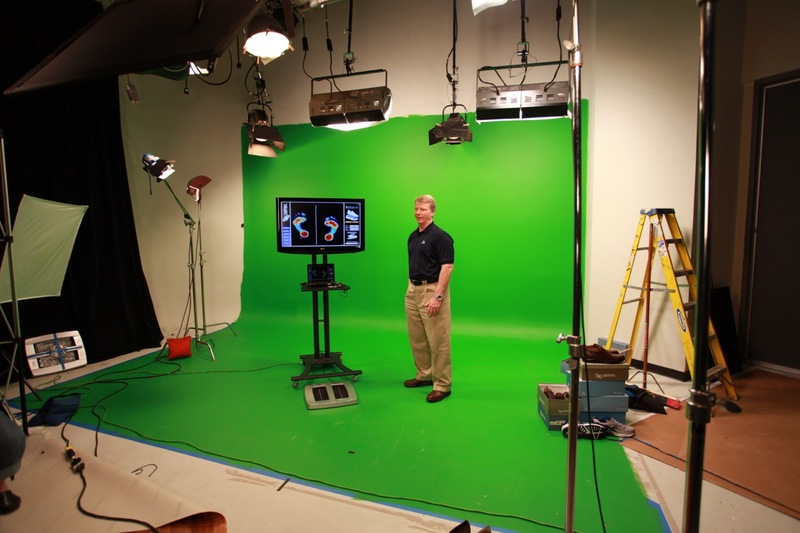 A simple green screen shoot in Studio B.